A dramatic series of underwater pinnacles and canyons with the most action around 24 metres. Here you'll find an explosion of life in the soft coral gardens; parrotfish, lionfish, wrasse and groupers are all common. 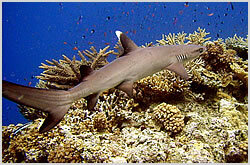 There are often some big jacks and trevally on the hunt here and you may glimpse white tip sharks on the prowl. 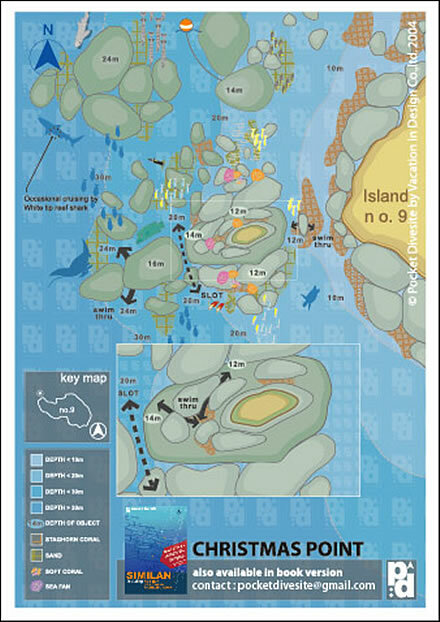 Closer to the island (number 9) are a series of swimthroughs and overhangs where puffer, boxfish and moray eels hide.